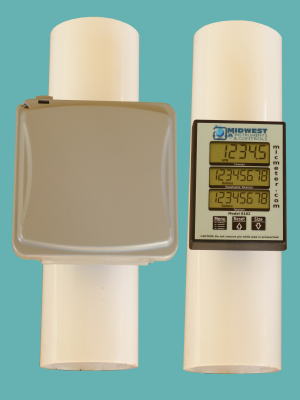 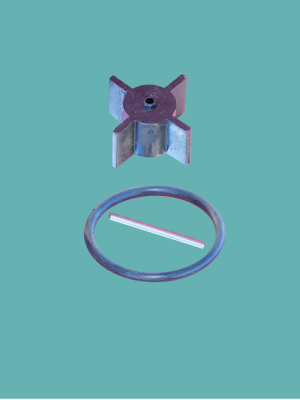 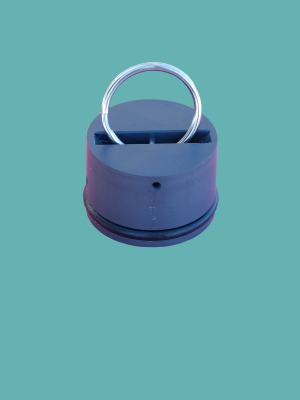 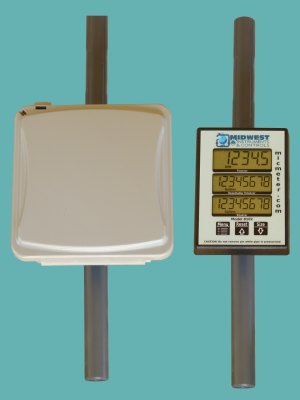 Standard pipe mounted flow meter supplied with a 13″ long section of 1″ schedule 80 PVC pipe. 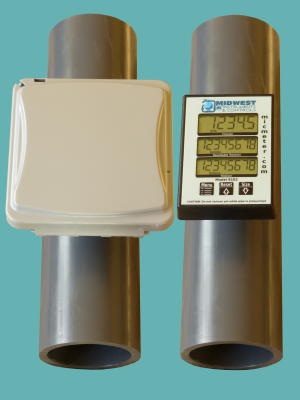 The flow rate range for this meter is 5 GPM up to 50 GPM. 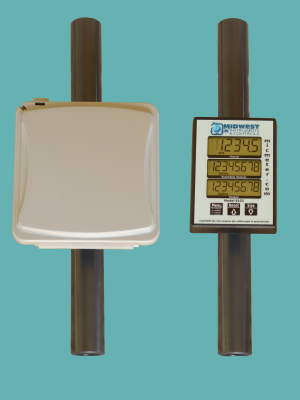 The display can be rotated relative to the pipe to allow easy viewing on both horizontal and vertical mounts. 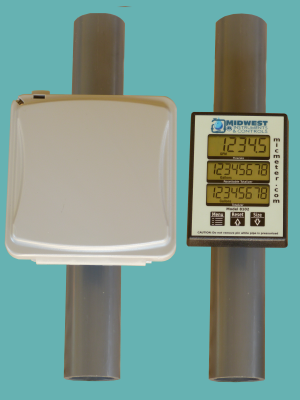 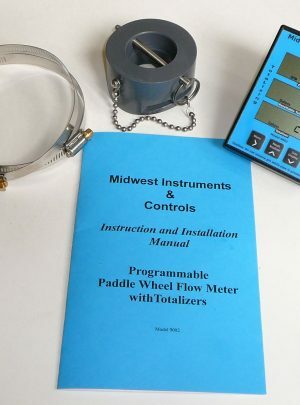 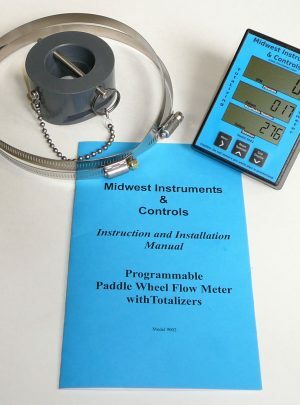 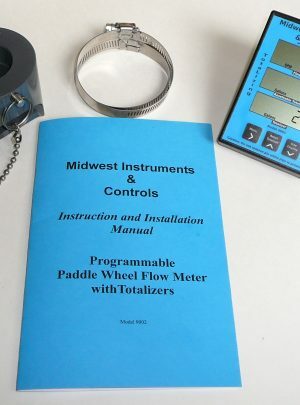 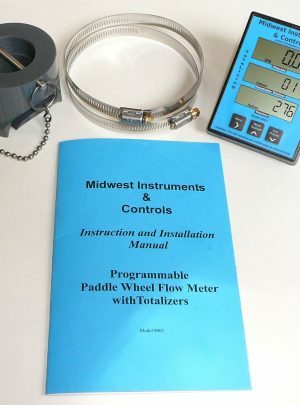 Pipe Mounted Meter with a Strap-On Adapter for 6″ Schedule 80 PVC pipe.